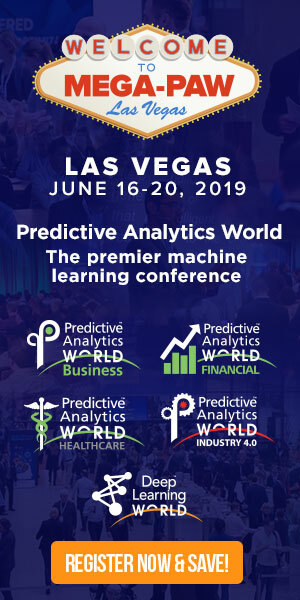 2019 marks the 10-year anniversary of the Predictive Analytics World conference series. During this decade-long run leading the commercial deployment of machine learning, PAW has delivered value to over 14,000 attendees across more than 60 industry-leading events that have included over 1,200 sessions, internationally. The first PAW was held in San Francisco as a two-track event. It blazed the trail as the very first vendor-neutral conference focused on machine learning’s commercial deployment– in comparison with existing academic or vendor-run conferences at the time – and remains the leading such event. A PAW keynote from Target on predicting customer pregnancy (see the full session video here) spawned a publicity debacle for the large retailer, which took place more than a year later in early 2012, by way of a front-page New York Times Magazine article by Charles Duhigg – an excerpt that served to publicize the launch of his book “The Power of Habit” at the time – which expounded upon the keynote’s contents and was regurgitated by a media frenzy. However, this flame-igniting article probably misled the public about the reality behind an alleged anecdote involving a pregnant teenager. February 2013: Eric Siegel’s book, “Predictive Analytics”. The first edition of PAW Founder Eric Siegel’s book, Predictive Analytics: The Power to Predict Who Will Click, Buy, Lie, or Die, publishes in the U.S. It will be used in courses at over 35 universities, rank as the #1 Amazon bestseller in 2 categories, and be translated into 12 languages. The updated edition was released in 2016. Famed Hollywood action film star Chuck Norris mentioned PAW in a derogatory manner in an article expressing privacy concerns over the IRS’s collection of social media data, as covered by a speaker from the IRS at PAW Government. John Elder, chair of Elder Research, the most widely experienced data consultancy in North America. An extremely popular speaker, author, and workshop instructor, John has spoken at the vast majority of PAW events, internationally, over the last decade. He’s the chair of PAW Government and his firm also heads up the PAW Healthcare event, which is chaired by Elder Research’s Jeff Deal. 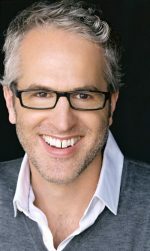 Dean Abbott, the founding chief data scientist of SmarterHQ. Previously a leading “rock star” consultant, Dean is famed for his fluency with more machine learning tools than any other practitioner we know. 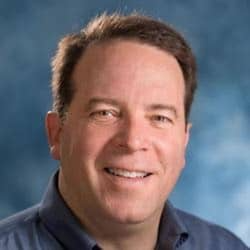 Like John Elder, Dean is an extremely popular speaker and workshop instructor who’s participated at the vast majority of PAW events, internationally — these two speakers are easily the two most frequent speakers, far surpassing even the frequency of PAW Founder Eric Siegel. 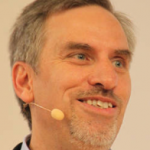 Karl Rexer, founder of Rexer Analytics, a leading boutique consulting firm in predictive analytics. 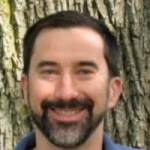 Karl is a a frequent plenary speaker who often presents on his firm’s well-regarded, industry-standard Data Scientist Survey. His firm has completed projects for an impressively diverse portfolio of clients. David Gondek, who led the design of machine learning integration for IBM’s Jeopardy champion computer, Watson. Watson’s triumph on this TV quiz show is one of the top few bullets in the history of machine learning. Thomas Davenport, president’s distinguished professor Babson College and co-author, “Competing on Analytics.” This famed thought leader is known for his insight and gravitas. Stephen Baker, author of “The Numerati” and senior writer at BusinessWeek. Obama for America 2012 campaign’s Daniel Porter and Rayid Ghani, who served as director of statistical modeling and chief data scientist, respectively. Deep Learning World covers deep learning’s commercial deployment across industry sectors. This relatively new form of neural networks has blossomed, both in buzz and in actual value, scaling machine learning to process, for example, complex image data. … plus a range of full-day training workshop options that include two on deep learning and TensorFlow, as well as R, Spark, and advanced topics such as ensemble models and other advanced techniques.